Read my literary reads post. Read my keeping it real post. When I was a small child, my fondest memories are spent on the floor of the living room with my Little Golden books. Literally I took them everywhere with me and was always reading them, over and over again. I just loved them so much, and see now they were the books that started my love for words. As a reader and reviewer, I have had many wonderful opportunities reading all kinds of books. 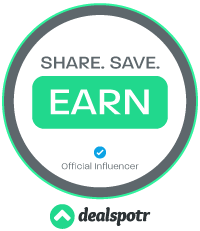 For these two genres I will share my favorites from the time I have been blogging. 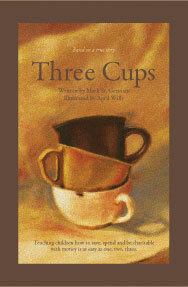 For childrens' picture books, my favorite read is Three Cups bu Mark St. Germain. This book is a wonderful way to teach your kids good values about money, as well as a lesson in humility around birthdays. I was really touched by this story. Check it out on Amazon. This is a genre I didn't really bother with until I became a blogger. Reading others' posts about this dysotopian novel, or that vampire book, really got me curious and I sat down with my first YA read, Stolen by Lesley Pearse. Now this was neither paranormal or dysotopian. It was a sweet story about a girl who needed to fight the right track in life. It also had me sold in the genre! Then Julie Kagawa came out with The Iron Fey Series. Oh, Miss Kagawa stole my heart with those little fae. I read book one, and have acquired and gobbled up every book since then. Geez, who knew fairies would be my literary weakness?! Check out my reviews below, and seriously, if you haven't read the series, I urge you to do so. It's smothered in awesome sauce! I have a couple of the Iron Fey series on my Kindle. They look good. YA isn't really my genre but these look like great books.